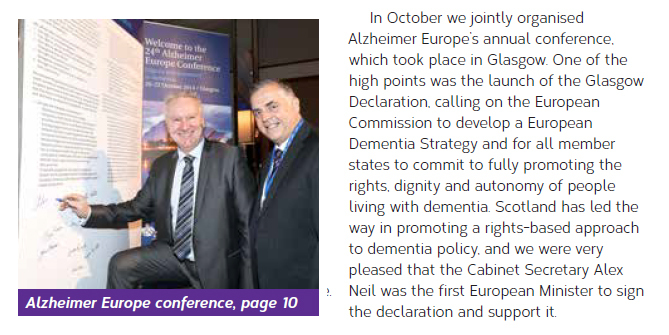 A few years back I was a member of the Policy Group for Alzheimer Scotland. I resigned as I was concerned about some of the approaches being taken at a national level including significant concerns about the target set for the early diagnosis of dementia. The good intentions are clear. Yet I have significant concerns with this approach. I have previously covered my concerns about early diagnosis here. I have also considered the wider scientific evidence on memory loss as we age. This post on the parabolic pattern offers a summary. 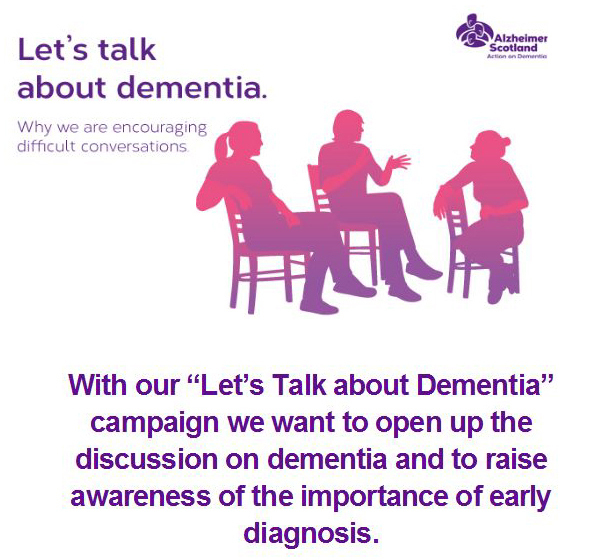 The risk of the approach taken by Alzheimer Scotland in this current campaign is that all forgetfulness is “understood” as pathological. As disease. As “early dementia”. As “Alzheimers” (as dementia may synonymously be misunderstood). This would be a false “understanding” for a significant number of our respected elders in Scotland. Such misunderstanding risks undermining their “rights, dignity and autonomy”. I was delighted to see this agreement signed as I have been tireless supporter for timely diagnosis. 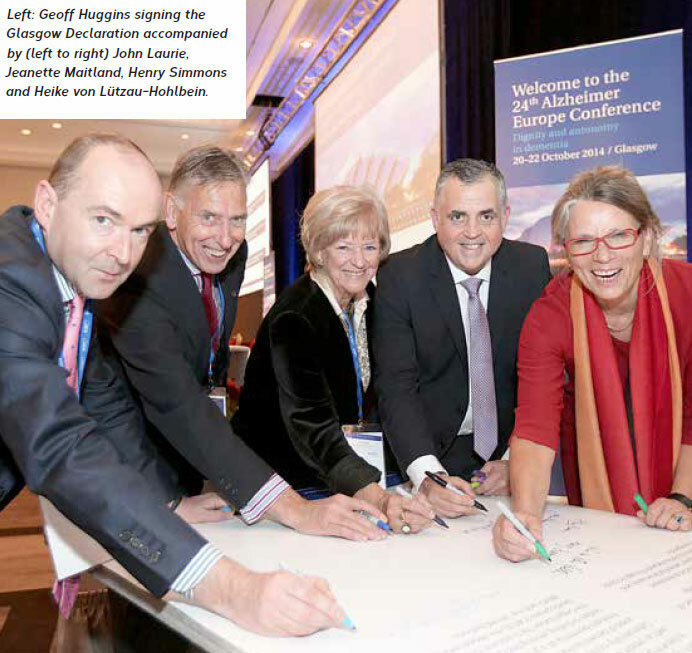 The Glasgow Declaration follows the guidance of the UK National Screening Committee and for Europe, ALCOVE, Timely Diagnosis of Dementia. of a few professional colleagues. This is a "difficult conversation" for me to have. 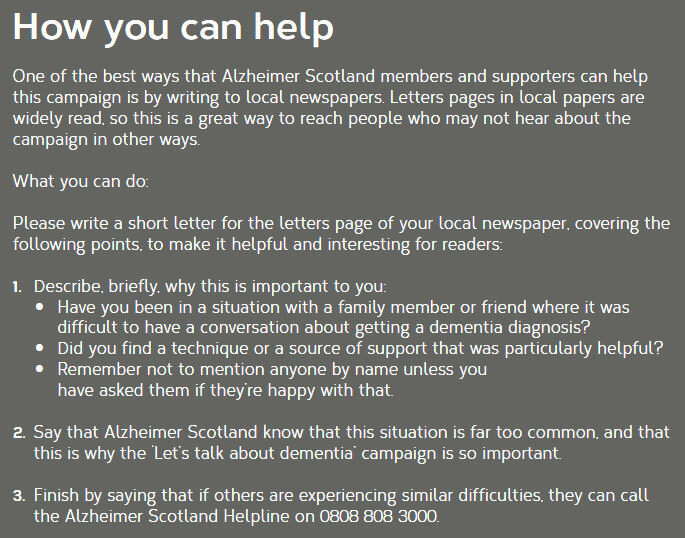 and the last is the Chief Executive of Alzheimer Scotland. the timely diagnosis of dementia. such forgetfulness. I do hope that it is not pathological.